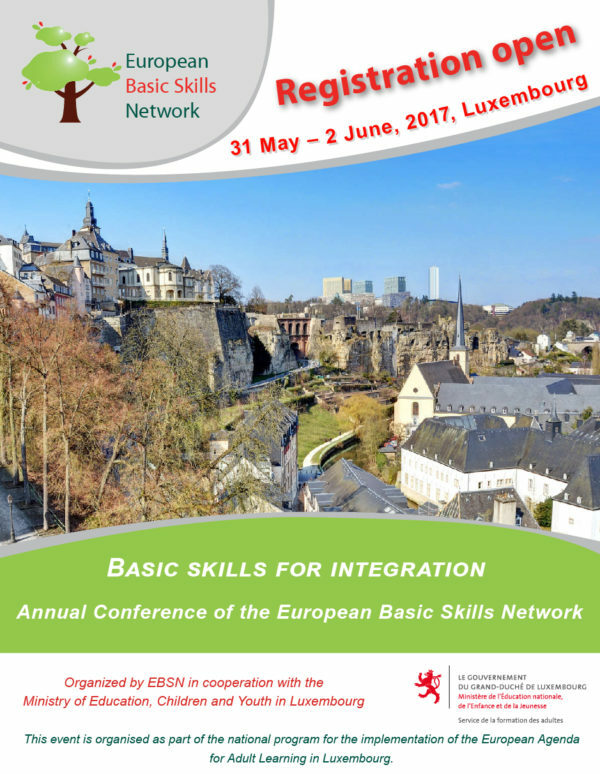 We are happy to inform you that registration for the Annual Conference of the European Basic Skills Network to be organised in Luxembourg on 31 May – 2 June 2017 is now open! In this blog EPALE's Thematic Coordinator for Life Skills, David Mallows, reflects on the importance and process of digital inclusion of adults, and you can see three videos as well where Graciela Sbertoli of Skills Norway, Zoltan Varkonyi of Progress Consult in Hungary and Caecilia Maerk of SVEB, the Swiss Federation of Adult Learning, all members of the European Basic Skills Network, discuss how digital inclusion is being approached in Norway, Hungary and Switzerland. The increasing use of volunteers in language courses is causing a major change in the educational landscape in The Netherlands. Volunteers are being deployed in language acquisition courses and in fighting low literacy. It means that greater numbers can be taught and is ‘cheaper’. But is that really the case? Wouldn't the students benefit more from thorough language training, taught by a professional teacher? Wouldn't that be much more efficient and therefore ultimately cheaper? Read Marian Janssen- de Goede’s thoughts on this topic here. On 28-29 November 2016 Cedefop organised a conference on the topic of how to make learning visible. The conference took place in Thessaloniki and had more than 200 participants. A wide range of stakeholders attended the event – from people working with refugees at the grassroots level to researchers and policy-makers. EPALE’s Thematic Coordinator for Learner Support, Gina Ebner, was the rapporteur of one of the workshops on validation for low-qualified adults. In this blog post she presents the key messages and highlights from the discussion. EPALE discussion summary: How can digital learning be used in the Upskilling Pathways initiative? As part of EPALE’s March focus on digital and e-learning, EPALE invited everyone to let your views heard on how digital learning can be used in the Upskilling Pathways initiative. In total, more than 200 comments were placed by numerous participants in what can be called a very lively debate. Here you’ll find reflections on the outcomes of the discussion. As part of the European New Skills Agenda, the 'upskilling pathways' initiative is one that each Member State has to implement for itself. The aim of the initiative is to offer individuals with low levels of basic skills the opportunity to at least improve those skills to an acceptable level, or to guide them towards a qualification. That is a fine goal. However, it fails to properly address the many millions of adults in Europe who are beyond the reach of regular and traditional adult education and who could certainly improve by utilising new ways of learning. There is an urgent need to pay special attention to this group and recognise the need for this type of learning. Read Ben Vaske’s blog about the topic. As part of EPALE's monthly focus on digital and e-learning, EPALE's Thematic Coordinators got together to discuss two important questions: What are the success factors in using digital tools in basic skills learning? and What is needed at the level of the adult learning professional, the institution level and the policy level to make use of these digital tools? EPALE's Thematic Coordinators Simon Broek, Gina Ebner, David Mallows, and Zoltán Várkonyi from the European Basic Skills Network shared their thoughts. There is still time for you to have your say in the consultation on the Review of the European Framework of Key Competences. The consultation will close on 19 May 2017. You can read more on how you can contribute here. The Dutch Municipality of Utrecht now offers a digital practice environment for people who have difficulty using government websites. The virtual assistant ‘Steffie’ helps users by explaining digital and administrative procedures. On the website, people can find explanation of many frequently used processes on government websites, as well as allowing them to practise using the websites in a safe and secure environment. Read more about the website here. The European Commission has announced that this year's European Vocational Skills Week will be held on 20-24 November. Building on last year’s theme ‘Discover your talent’, this year the Commission wants to draw attention to mobility of VET learners, addressing skills mismatches, and boosting partnerships between businesses and VET providers. Are you teaching reading and writing to immigrant adults, or are you interested in it? Do you want to upgrade your literacy tutoring skills? Would you like to get new culturally-sensitive methods for working with your students with a migrant background? This is a comprehensive in-service training workshop targeting literacy teachers or tutors and aims to improve their strategies for teaching reading and writing, including language skills, to immigrants with low- or no-literacy and/or language skills. Read more about the training here. The conference, which follows those held in Liege in 2003, 2008, 2012 is organized with the active support of the French regional partners. It will aim to take stock of the current European priorities in education and training on how French-speaking Belgium is responding to these challenges. Read more details here. 26th EDEN Annual Conference – Diversity Matters! EDEN - the European Distance and E-Learning organizes its 2017 Annual Conference in Jönköping, Sweden on 13-16 June 2017 with the title of “Diversity matters”. The themes of the conference are manifold, from theoretical questions of diversity in ICT enhanced learning, and concept and practice of diversity in different socio-cultural environments to finding and applying the right mix of information, knowledge and creativity in educational settings to handle this diversity. Read more about the conference and registration on EPALE. The key event of the 4th French National Literacy Days, the City of Good Practices will take place in Lyon on September 13-14, 2017. Organized by ANLCI (National Agency for Fighting Illiteracy), this meeting aims to disseminate good practices in supporting literacy and enhancing engagement in the fight against illiteracy. This event is the largest meeting place in France where professionals and volunteers working in the fight against illiteracy can exchange their experiences and practices. The City of Good Practices meeting will enable participants to exchange and compare experiences, to meet “solution providers”, to be inspired by good practices, and to have hands-on experience of tools that have been proven effective in the fight against illiteracy. For more information information on how to access the full article click here.